"There are three rules for writing a novel . 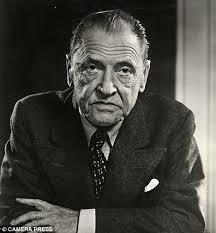 . .
William Somerset Maugham Jan 25, 1874 through Dec. 16, 1965 was a British playwright, novelist and short story writer. He was among the most popular writers of his era and reputedly the highest-paid author during the 1930s. During the First World War, he served with the Red Cross and in the ambulance corps, before being recruited in 1916 into the British Secret Intelligence Service, for which he worked in Switzerland and Russia before the October Revolution of 1917. During and after the war, he traveled in India and Southeast Asia; these experiences were reflected in later short stories and novels.